There has been a lot of quarterback talk surrounding the UGA program after a mediocre performance this past Saturday from both Greyson Lambert and Brice Ramsey. UGA offensive coordinator Brian Schottenheimer quelled the talk about which quarterback will start this Saturday against Tennessee when he announced Tuesday that Lambert will continue as the starter. And what do you know? 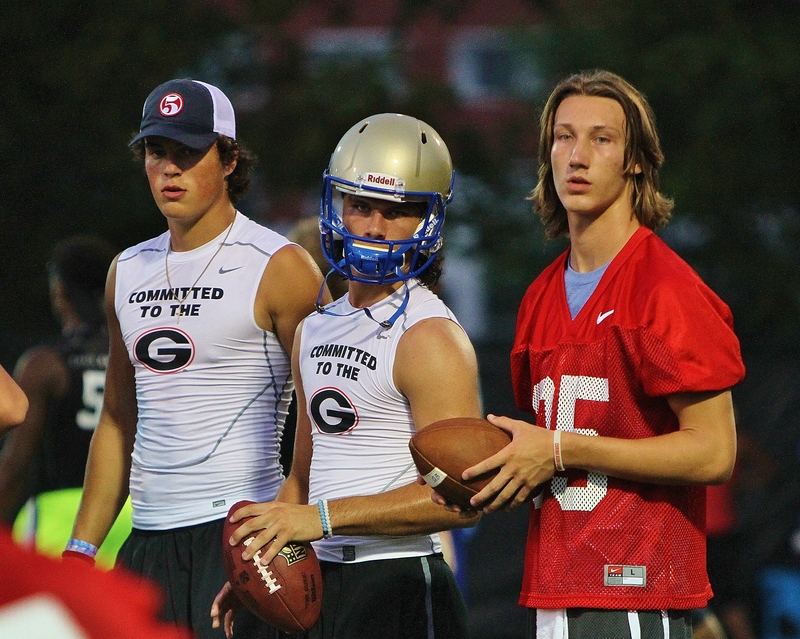 We have more news about quarterbacks — this time future UGA signal-callers. More on that in a bit because we lead off today’s recruiting rewind with the nation’s No. 2 player. UGA hosted 5-star offensive tackle Greg Little this past weekend for the Alabama game, and according to his Twitter account, it was one of the greatest visits ever. How big of a deal is that? Huge. Little, the nation’s No. 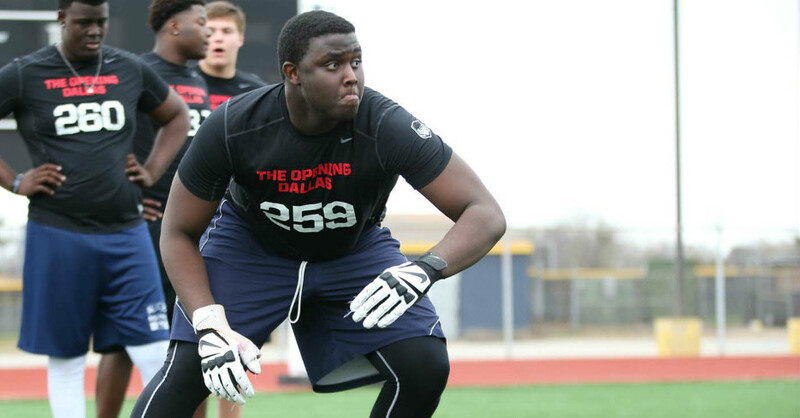 1 offensive lineman, plans to commit on Nov. 4, his birthday. If his official visit really was one of the best campus experiences he’s had throughout his recruiting process, perhaps he’ll compare Alabama, Ole Miss and LSU, which are the schools he still plans on taking official visits to before his commitment, to UGA as the golden standard for what official visits are supposed to be like. Ben Davis is the son of Wayne Davis, Alabama’s all-time leading tackler. Ben is expected to follow in his dad’s footsteps and commit to Alabama. 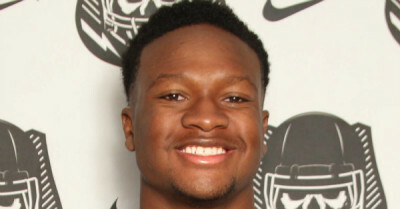 But on Tuesday, UGA received some encouraging news with his recruitment. Davis, the nation’s No. 1 inside linebacker, will take an official visit to UGA for the Missouri game on Oct. 17. Even though he is considered a strong Alabama lean, crazy things can happen on official visits. Maybe he’ll fall in love with the campus and get a feeling that Athens is where he should be. 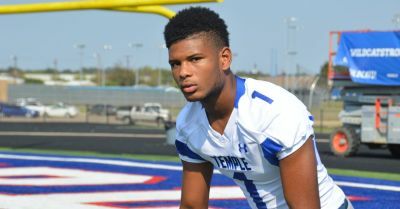 The AJC’s DawgNation.com recently traveled to Texas to catch up with UGA wide receiver commit Davion Curtis. Curtis told DawgNation.com that his mother was initially upset with her son’s decision to commit to UGA, but she now knows why her son decided to become a Bulldog. She visited the campus with her son for the South Carolina game and grew to love the UGA coaches. There were really no hard feelings with her son’s commitment. His home is more than 1,000 miles away from Sanford Stadium, but hey, at least she’ll rack up those frequent flyer miles when she visits Athens. Curtis’ teammate, Taquon Graham, told DawgNation.com that he picked up an offer from UGA when Bulldogs wide receivers coach Bryan McClendon was in town to visit Curtis. Graham, a 2017 4-star defensive end, is now strongly considering UGA. One of the reasons for that? Knowing Curtis will be there if he decides to commit to UGA next year. 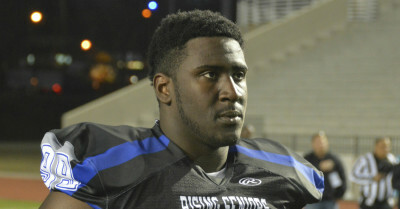 He talks about his UGA offer and what it means to him in this video. 5. UGA signing two quarterbacks in 2017? Will UGA sign two quarterbacks in next year’s recruiting class? That’s exactly what it sounds like, according to the father of one of the Southeast’s top passers. Of course, UGA already has a commitment in this year’s recruiting class with Jacob Eason, the 5-star quarterback from Lake Stevens, Wash.
For 2017, UGA already has a pledge from junior quarterback Bailey Hockman, the left-hander from McEachern High School. 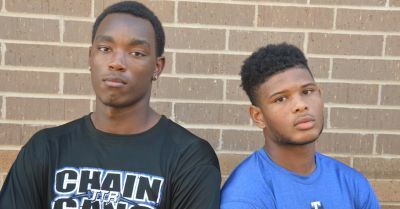 But the Bulldogs apparently plan to build some much-needed depth at the position. That’s big news. Will it scare off Hockman in 2017? Will it hurt UGA with its top quarterback target in 2018? All of those are important questions that will be answered in the future. Speaking of Bailey Hockman, DawgNation.com asked some of the state’s best defensive backs what they thought about the UGA commit’s game. All of them are impressed with the lefty. Check out what a UGA defensive back commit and a son of a former NFL star had to say right here. 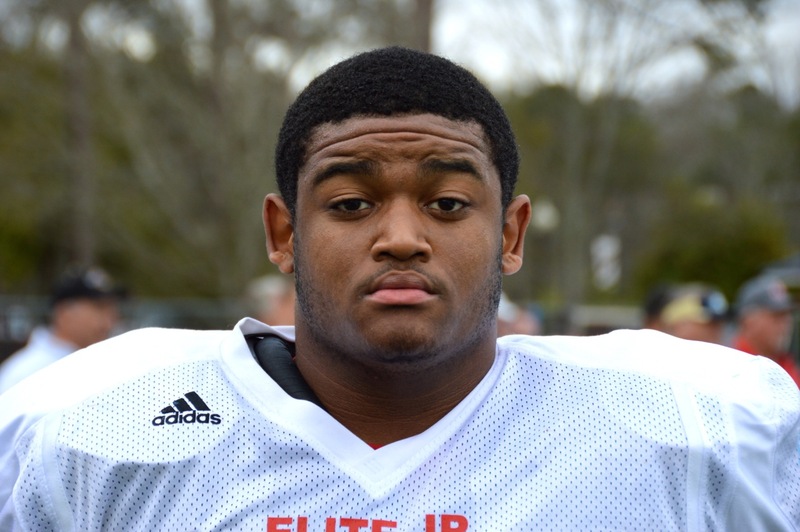 Michail Carter is one of the state’s best defensive tackle targets, but he didn’t say a single word to any coach or player this past weekend at the Alabama game. Carter, a 4-star prospect from Jackson High School, showed up just in time for kickoff, so obviously he couldn’t speak to coaches before the game, but he never had the opportunity to do so afterward. That’s not insignificant. Whenever a big-time prospect is on your campus, you’d like to try to talk to the kid — even if it’s for a couple of minutes. Interestingly enough, Carter’s top two schools are UGA and Alabama. He paid close attention to both schools during the game. Here’s what he had to say about where things stand with the SEC powers. Defensive tackle commit Julian Rochester is one of my favorite players to cover in recruiting because he’s going to tell you exactly how he feels. There’s no filter when it comes to the message he wants to get across. A couple of months ago, Rochester, the 4-star prospect from McEachern High School, told DawgNation.com that he was fed up with recruiting rankings and “5-foot-2 analysts” making comments about his weight. His coach, who happens to be Bailey Hockman’s father, explained how great of a job Rochester is doing this season. Check out his comments here.